Petrillo Law has been working in the field of personal injury law for over 25 years. Since then, we have helped thousands of people across Mississauga, The Greater Toronto Area (GTA) and Ontario get above average compensation for their injuries. We understand that each personal injury is unique. If you have been hurt due to someone else’s negligence, the last thing you want is a personal injury law firm which takes a cookie cutter approach to providing advice and solutions. Petrillo Law takes the time to get to know you by asking about what your life was like before your injury and how it has changed since that point. We treat everyone who retains our services, no matter how large or small their personal injury is, with the same level of personal attention and respect they deserve. Personal injury law matters can be complicated, and you need a specialist on your side. 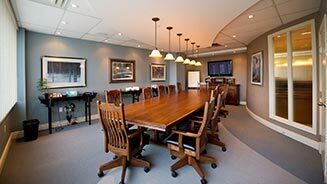 We are members in good standing of the Law Society of Upper Canada and the Canadian Bar Association. 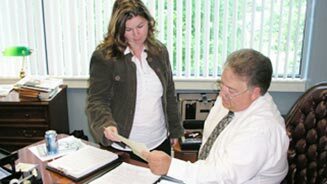 As a top personal injury law firm, we are well versed in how to present all the details of your loss so that you can be compensated in a fair and just manner. We take the time to explain your rights and responsibilities carefully so that you can make the decisions which are in your best interest. We live and practice in Mississauga and are proud to be part of this community. As sponsors of the Corporate Relay in the Mississauga Marathon, we take our responsibility to contribute to local causes seriously. If you have been hurt in any type of accident through no fault of your own, you need legal advice you can trust. We are on your side and will explain your options clearly. Once you retain Petrillo Law as your personal injury law firm, we will be with you every step of the way. We guarantee it.